Van Cliburn, 78, died this morning in his home in Fort Worth, Texas, most likely of causes related to his battle with bone cancer. Cliburn was an American pianist who achieved overnight success after winning the 1958 Tchaikovsky International Competition in Moscow. Cliburn’s success at the competition was seen by many Americans and Russians as a major win over the Soviet Union during the Cold War. Cliburn achieved celebrity status because of his musicianship. He was trained at Julliard and won the Leventritt Foundation Award in 1954, which helped him earn performances with major orchestras, including the New York Philharmonic. His signature piece was “Tchaikovsky’s Piano Concert No. 1,” which ultimately helped him get a recording contract with Columbia Artists. Some believed that the Russians’ adoration of Cliburn signified that they also embraced and felt affection for America. In a 2008 interview with the New York Times, Cliburn remembered the Russians as being similar to Texans. In the same interview, Cliburn admitted that the pressure of his early fame got to him, as he played less and less by the 1960s until his retirement in 1978. Cliburn began studying piano when he was 3 years old and was playing in recitals by the age of 4. After learning from his mother for many years, Cliburn accepted a scholarship to Julliard when he was 17, where he studied with Russian-born teacher Rosina Lhevinne. 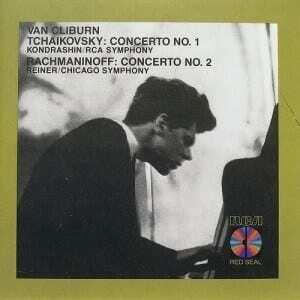 Over the years, Cliburn performed at many competitions and concerts, taking his fame with him when he toured. Cliburn lived a discreet homosexual life and was involved with Thomas Zaremba for 17 years. Cliburn is survived by Thomas Smith, whom he shared a home with before his death. Cliburn’s last public appearance was in September when he spoke at a concert celebrating the 50th anniversary of the Van Cliburn Foundation. Previous ArticleAdam Strange killed by New Zealand shark attackNext ArticleScott Weiland fired from Stone Temple Pilots?